A revolutionary new design for basement windows! The HERR egress window is an innovative approach to the age old Basement Bedroom issue. This is a solution will revolutionize how renovators and contractors meet egress in basement bedrooms. 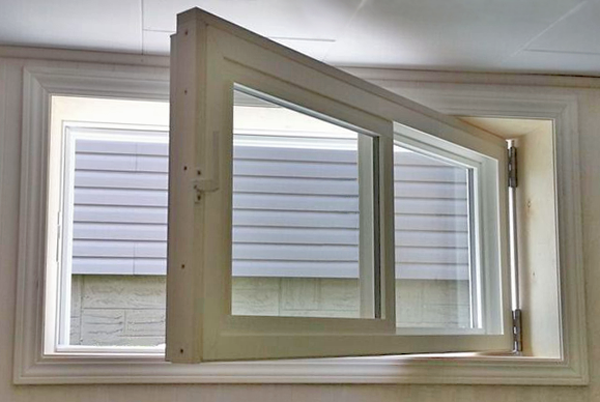 The HERR Egress Window design has been carefully considered, field tested over the past several years. We can typically meet Egress without having to cut concrete. We design and manufacture the frame in our Edmonton shop, so it is customized based off of each installation and need. We had a great experience with HERR window & door. We were able to get a specialized window custom to our shape that allowed us meet regulations to use the room as a bedroom in our basement. Very exciting not to have to cut out a larger size from the cement. Communication and coordination were great! We were thrilled to finally introduce the HERR Egress Basement Window at the 2016 Edmonton Home and Garden Show. It was received with much enthusiasm from contractors, and renovators as well as DIYers. The HERR egress window has been 30 years in the making.Since the founder of HERR window and door, Randy Stauffer, entered the construction industry in the early 1980’s he has been using his creativity to decrease waste and bring innovation to the industry. With his 20 years in the window and door business he was able to combine his knowledge of how doors are made and how windows need to function into an incredible product. finishing or updating their basement. Prior to the design of the HERR egress window, the rough opening would have to be increased significantly and with increased costs for material, labour to cut the concrete, engineering (most municipalities require engineered drawings) the average project budget would have increased astronomically. Typically we can achieve Egress conforming size with as little as 17″ height. This is a vast improvement from the current industry standard for an egress slider which is 60″ x 30″. We do not recommend having the foundation of our homes sliced, and diced without the correct due-diligence completed to ensure the foundation would remain solid. 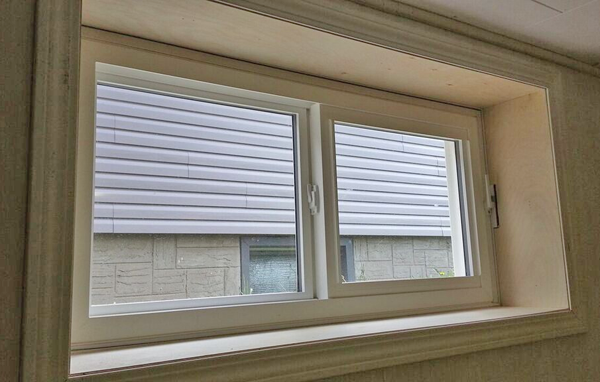 Currently the most popular Egress window in a similar size on the market is the “hopper style”. This style has come under scrutiny from fire safety personnel as the window can be bumped and close, trapping the person in the window opening. The other issue with this style is the lack of ceiling height required for the window to engage properly. 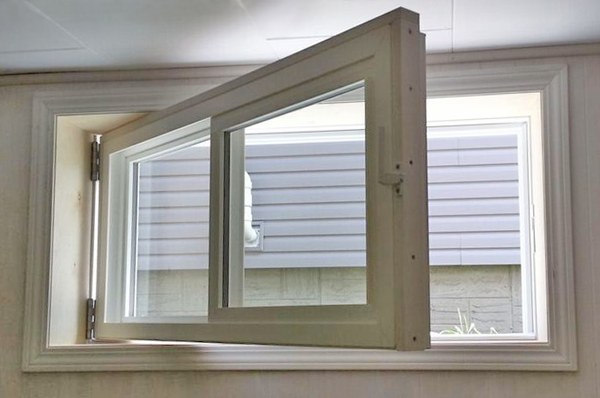 Since the HERR egress window was conceived, HERR window and door has been field testing this product over the past several years. We have worked through several designs, using a variety of different materials and slight variations. 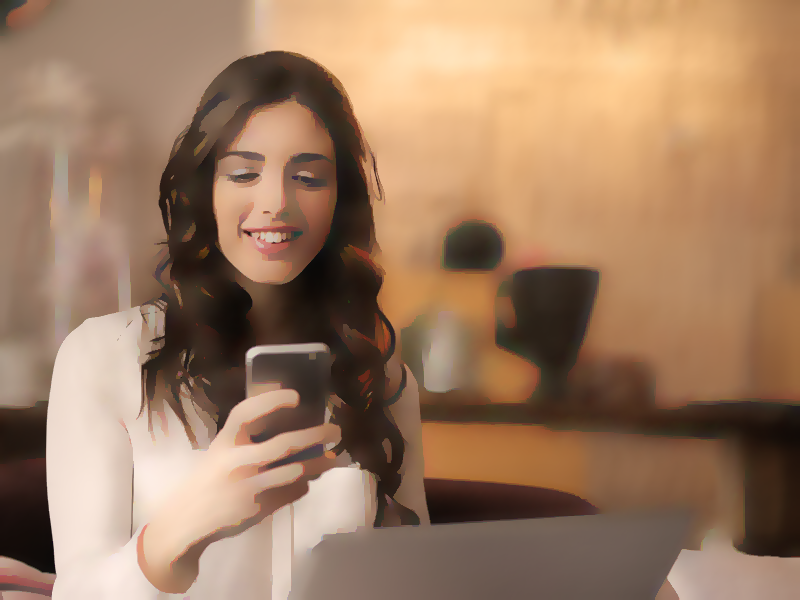 The model we have released to the public has the best performance and every aspect has been carefully scrutinized for peak performance. HERR window and door makes the frames custom to each project. We have specific guidelines and calculations for determining Egress based on our design. If you are doing a basement renovation or contemplating existing basement bedrooms, we strongly recommend ensuring you do have windows that meet the Egress Standards. but with it installed we can guarantee peace of mind.